The Ladder-backed Woodpecker is a small woodpecker of the SW United States, and Mexico, who forages and nests in cactus. 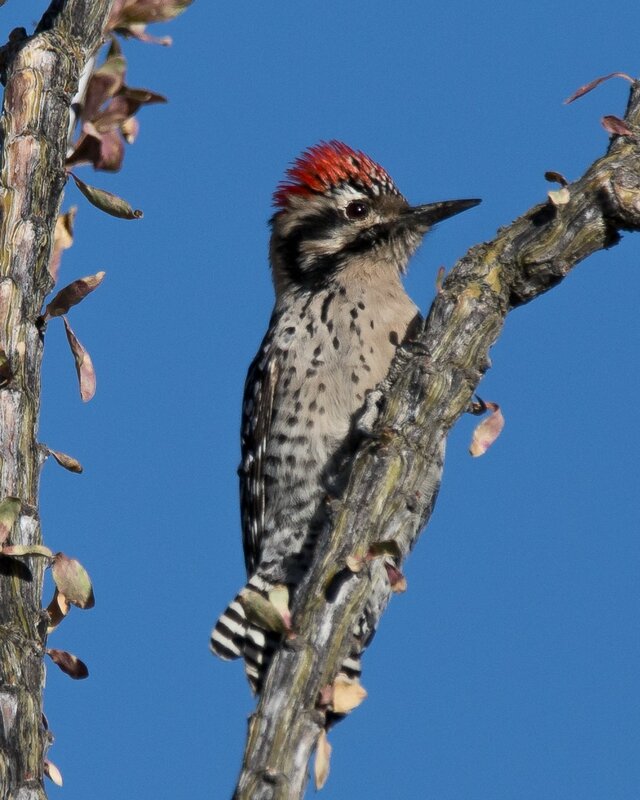 They are commonly seen in SE Arizona, and need to be distinguished from the Gila Woodpecker, who has a similar black and white pattern on the back, with a red cap in the males, but does not have the distinctive black and white stripes on the head. 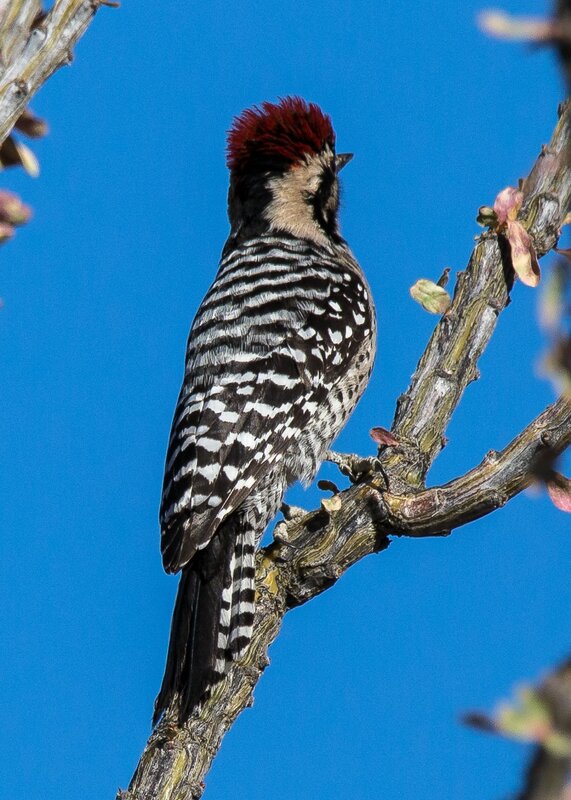 For a comparison, see Gila Woodpecker.